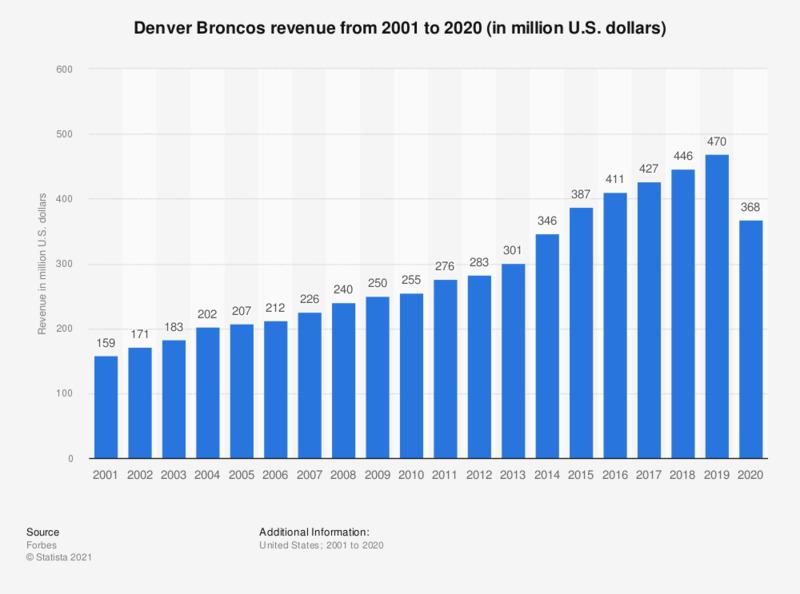 The statistic depicts the revenue of the Denver Broncos, franchise of the National Football League, from 2001 to 2017. In 2017, the revenue of the Denver Broncos was 427 million U.S. dollars. * Revenue net of revenue sharing and stadium debt service.